The eagerly awaited third Federal Charm album, and the first featuring the new line-up of original members Paul Bowe (guitar) and L.D. Morawski (bass) and now with new drummer, Josh Zahler, and new singer, Tom Guyer. 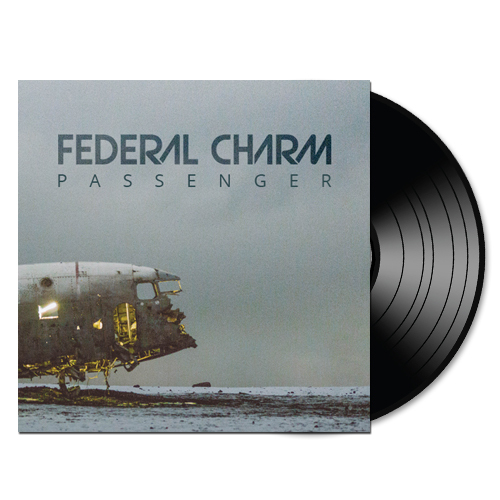 ‘Passenger’ was recorded & produced by Federal Charm & John Simms, who is also sound engineer for fellow Stockport band, ‘Blossoms’. 11 tracks from the very top drawer, split over two sides of pristine slab-vinyl, housed in a handsome cardboard sleeve with poster insert on the ever-popular LP format. Available in either snow blizzard white or oil slick black. Both versions come with a free gratis digital MP3 version download code bonus. Take your pick. Buy with confidence, my friends. Buy with confidence.